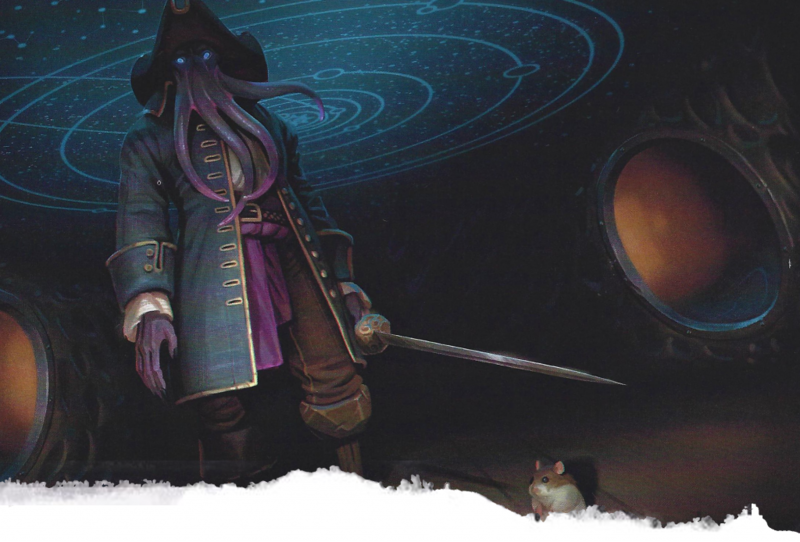 In our fourth WotC official review we take a look at the newest book, Waterdeep: Dungeon of the Mad Mage. If you’re like me, you’re incredibly curious as to what is useful inside this gargantuan, tightly packed book. Situated as an adventure from 5th to 20th level, it has an incredible gap to fill. With the release of Dragon Heist not that long ago, will Waterdeep still hold the attention of gamers for several more months? Let’s look at the introduction, skim through 289 dense pages of dungeon, as well as my recommendations for how to best utilize this monster of a book. All Art slopped from the dregs of the internet is from Wizards of the Coast LLC or taken by hand for review purposes. As we discussed in our look into Dragon Heist, there are still a handful of people reporting mediocre book quality. My Mordenkainen’s Tome of Foes was *chef’s kiss*, and my Dragon Heist looks and feels great. While this book seems fine – I’ve shaken it and seen no weak/broken pages, it does concern me just inside the front cover. Sometimes these bindings look kinda sketchy but hold for decades, other times they weaken from light use and you’ll find issues. If you DO have an issue, please contact WotC and they will replace the book for you! Don’t “live with it” – they understand the volume they’re working at, and if my 1983 highschool science book is still making the rounds (that’s not even a joke), then you deserve a book that holds together. As always, WotC doesn’t skimp with cool art for its covers. Less of a vibrant and colorful option, this cover chooses to stick to the theme of Undermountain/The Underdark – deep oranges, muted grays, and warm combinations of reds and ocher. 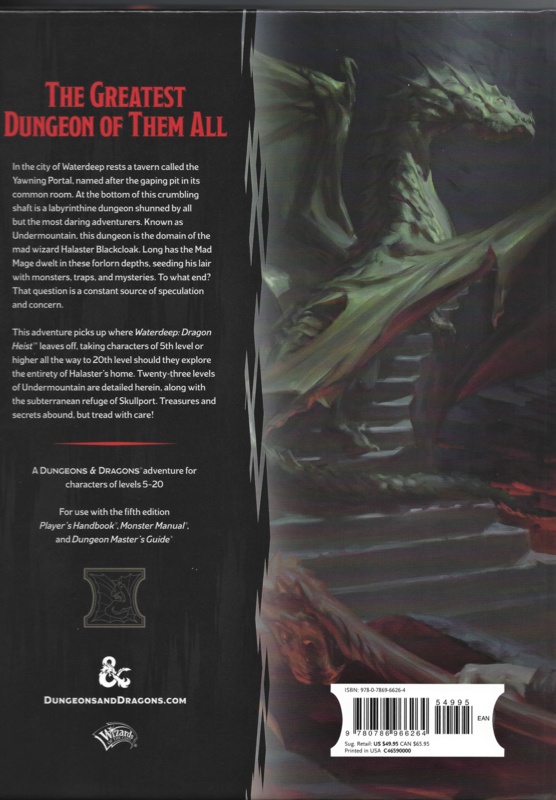 We see the namesake – a pale skinned Green Dragon ascending a set of stairs as well as a blurb about the adventure. A quick description of what Undermountain is, I believe, is a very wise choice for curious new players. I actually think that, bear with me, I’m ready to leave the Yawning Portal behind us. It was a focal point in Tales from the Yawning Portal (though not a location of note in that book), utilized several pages in Dragon Heist despite not being integral to the plot, and again it’s talked of, with reverence, on this back cover. Not a deal breaker, but there’s only so many times I need to hear about the hole in the center of the floor that leads into etc etc. Tables of Contents are difficult to do correctly. I respect WotC and every person who worked on this title – it’s massive and involved a ton of community members. However, the book devolves into “Level, What Dwells Here?, Exploring This Level, Aftermath” repeat. Just doesn’t look so great. TL;DR: What IS this book? Is it worth the money? This book is a huge (23 chapter) dungeon. It leads through Goblin peddlers, rust monsters, Gith cut throats, Drow slavers, Xanathar (a beholder crime boss in Waterdeep) loyalists, and dozens upon dozens more denizens in the underground tunnels. 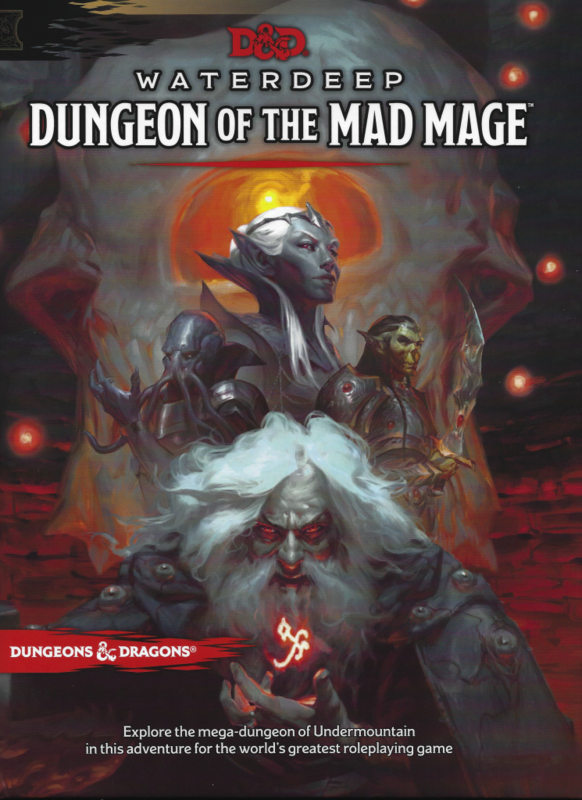 There is a chapter finally highlighting Skullport appended to the end, as well a very minor 10-page appendix with a hand-full of monsters and some photocopy-able cards that can help you run Dungeon of the Mad Mage. There is such a huge (cannot overstate, INCREDIBLE) amount of dungeon diving in this book that DMs can pull from it over and over during their own campaign and never use the same set of rooms twice. Anyone running a game who does NOT enjoy populating up to 684 dungeon rooms should certainly consider buying this book. Players – skip it. There’s not enough here for you to really get your money’s worth out of it. Note: This book is not just a tank-and-spank adventure with mindless encounters. The adventure itself focuses on how the group decides to navigate NPCs and organizations as WELL as exploring Undermountain. If you want to run a game where your PCs have to deal with Monsters in ways other than murder – this may be for you! This introduction is the polar opposite of Dragon Heist, highlighting the fact the books are meant to be used in tandem. 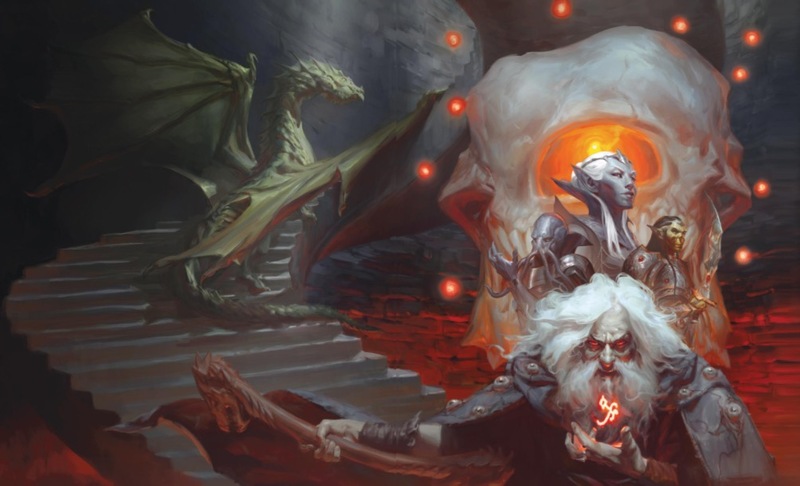 There is very little in the way of preamble – focusing on the truncated history of Undermountain, how to run the adventure, and – probably a bit of a hard sell – ways to hook your players into the dungeon. Using Appendix C of the book, a DM can hand out small cards – little secrets uncovered while within The Yawning Portal. 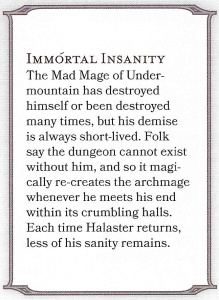 I love the inclusion of this sort of thing, as something like Undermountain is very present in Waterdeep – particularly the tavern with a huge hole straight down into its depths. These secrets only reveal some of the information of Undermountain. I feel it was a lost opportunity to give some hints that might have led to little quests or loot – but those are secrets that people would probably keep to themselves. Still, missed opportunity in my opinion. Sprinkled throughout Undermountain are arcane sigils that have either a beneficial or detrimental effect on those that interact with them. There is a list of 9 of them in Appendix B as well as their (very powerful) effects. 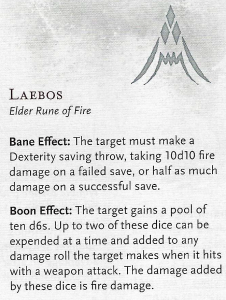 The coolest part of these runes – players who can cast the symbol spell can actually learn them! I love interactive stuff like that, as well as the 50/50 chance of bane/boon represented by them. 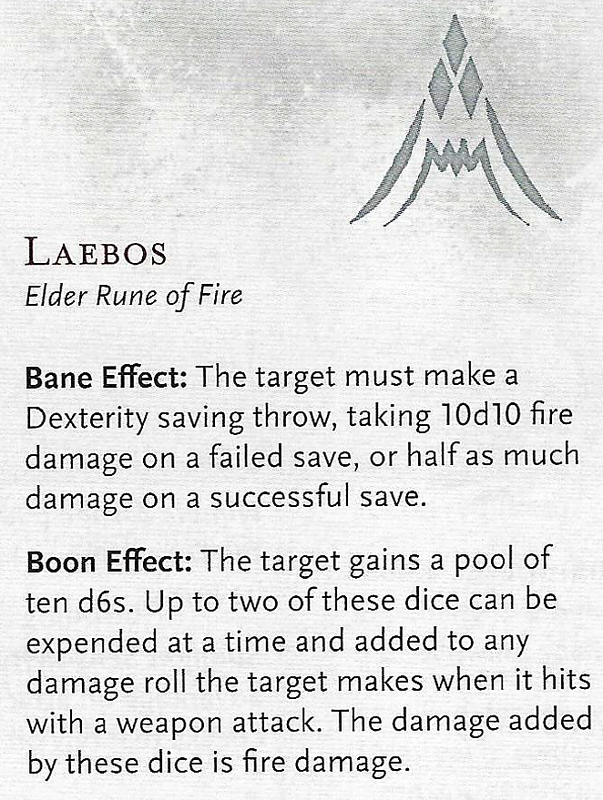 It also bridges the gap between any Sorcerer or Wizard and Halaster himself – after all, it’s just studying Runes… right? The introduction takes quite a bit of its truncated page length to specify reasons why your party would be in Undermountain. That’s an issue in translating these older locations into the “new age” of D&D – players, generally, don’t care about exploring gargantuan 1,200 room dungeons just because they want to play. They want a reason, a goal, a purpose and story. The options presented here are kinda flimsy (You owe the Harpers, There’s a missing noble, Go get magic stuff) – so I highly suggest you work with your players to figure out why their PC would go into this insane place and not immediately leave. What I do like here is their inclusion of potential future quests. 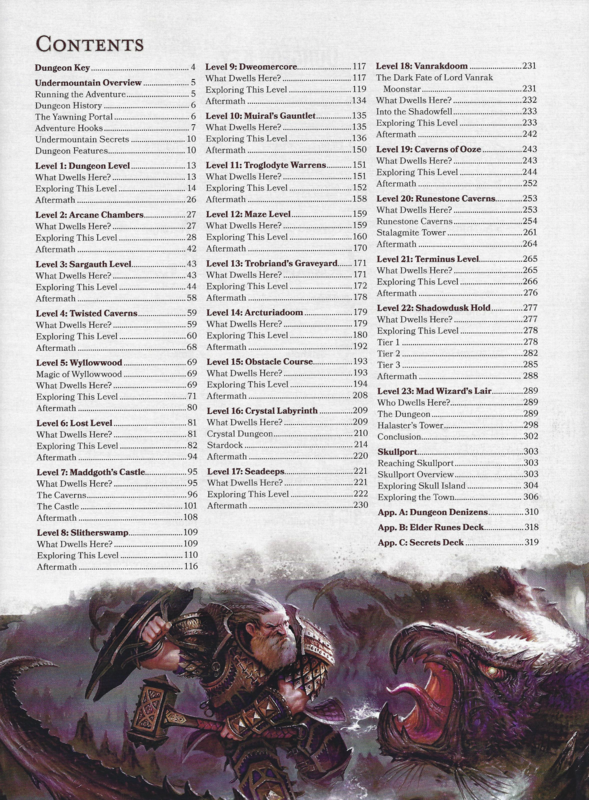 They don’t really hit until later levels and I feel like there should be, idk, 30 more – but they’re a nice inclusion for DMs trying to keep people going deeper and deeper into Undermountain. From page 13 to page 302 you’ll see mostly tightly written dungeons. What can you expect to see in these pages? Other than black and white maps (which I do not have a problem with) of the various levels, each chapter gets a half-page of art, like above, and every 50-68 pages there will be a small clipart of something – little items or undead wandering around, etc. The bestiary, as well, only has a total of 4 new monster images. Considered a big draw by a large portion of the community, if art is a huge selling point for you, be aware! Emissaries. Maleen Shadowdusk (CE female Illuskan human mage) and Tendra Nightblade (CE female Illuskan human assassin) dwell here. Furnishings. The furnishings, made of zurkhwood, include a large bed with spider silk sheets and an armoire. Light. A shuttered lantern with a continual flame spell cast on it hangs above the bed. If you’re a DM who enjoys having room to stretch their legs and manipulate the information given to you – these kind of punchy rooms might work marvelously. If you struggle with such things, this book may take some extra time to prep. Extra information needed to run each room is present when needed – I’m merely commenting on the room descriptors and how they are presented. Are you enjoying this meat-based comparison? Anyway, each of the levels (23 in total) are quite unique in their overall theme. There isn’t a lot of color to go along with it, which I feel could have been added to the maps with little investment, but when you flip to a new level you’ll see new creatures and locations that give each a unique feel. My best way to describe the over-all “story” of each level, as written, is much like a Magic the Gathering storyline. 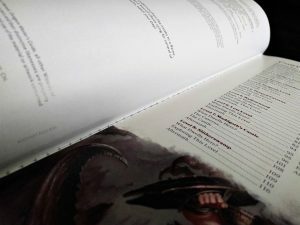 The DM will get enough to piece together the basics, but the players will have to connect the dots on their own and draw their own conclusions of what they should expect from a given level (without a heavy-handed DM, that is). Listen, this book has a ton of stuff in it, but like a steak (trust me, we’re ending the meat-based portion of this review soon), just having a lot of it isn’t always enough. The plot is very thin and leans on the idea of “We want to explore Undermountain.” Without that drive in your players, this adventure will collapse. The hard part is, once it’s packed so full with things to do it only leaves a small portion of the book devoted to drawing your players in. When Out of the Abyss had issues with plot – you could cut the plot out completely and still have the framework of “Demons may spill out into the world, how can we stop them?” You could cook up as much plot as you needed to make the game work for your group. 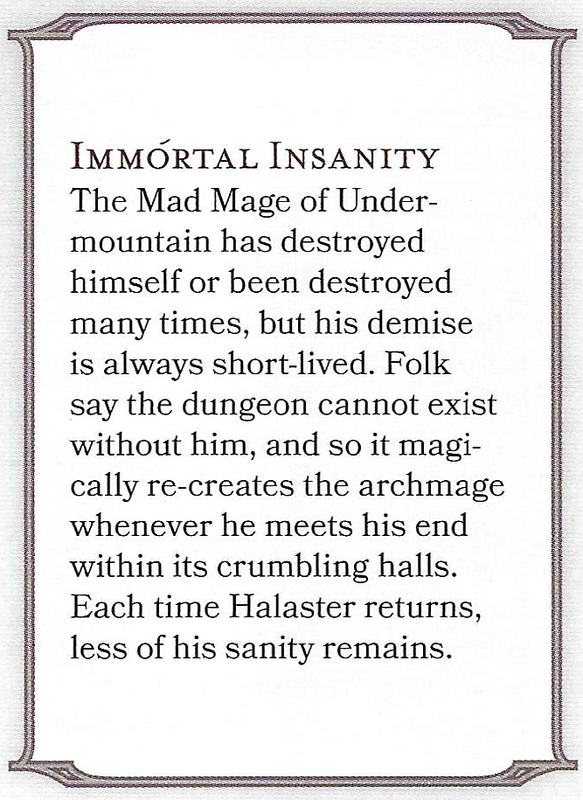 With Dungeon of the Mad Mage, everything present in the book revolves around Halaster Blackcloak being nucking futs and making weird chambers to do various things. If you do not like the plot, you cannot cook up something new to connect it all, because it’s far FAR past done – ingrained on every page. You have to invent something new and use the book where you can. I’m not saying it can’t be done, it just limits your options compared to other adventures – much like Hoard of the Dragon Queen did with it’s awkward railroad but in a different way. This book has a lot going for it – 23 easily reusable dungeons. Tons of specialty creatures written within the various levels, 15 levels worth of already balanced content. 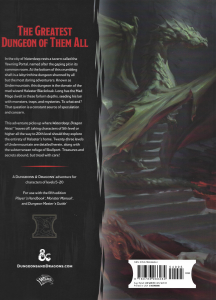 This book is an insane resource for people who look for dungeon inspiration, those who enjoy Waterdeep, or people who wish to run this in tandem with Dragon Heist. Keep it episodic. The levels aren’t super similar to each other and exploring a level should only take 1-2 sessions. There are bosses and NPCs on each level, making them perfect for a series of 1-2 shot adventures. Hand Wave return trips. 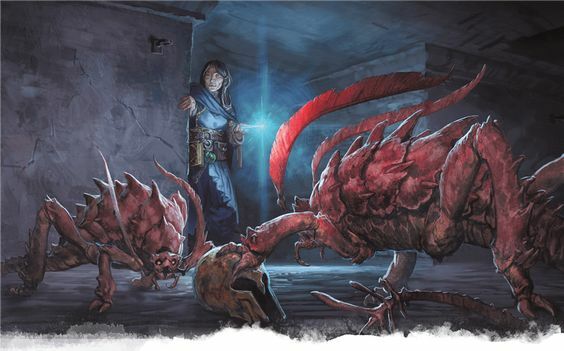 Assume that if a party of adventurers slaughter/talk their way through an entire level of Undermountain, that the denizens inside will more than likely give them a wide birth if they wander back through. If you try to lock them down there – your players may riot. With all that said – I think this book isn’t for everyone, but boy is it for some of you. If you wanted more-more-more to sit down at the table and use, this is a good buy. 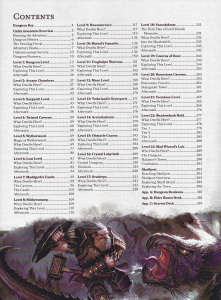 You’ll be using stuff in here for months and months – and combining it with Out of the Abyss or hundreds of new DM’s Guild titles (including my own!) set in Undermountain, you may be able to run this for several years without being starved for content. That’s a pretty good investment if you think you can manage it. Now I’m even more excited to get my hands on this as well as the extra map pack (which should have the color maps of each level). I’m glad I’ve got my dungeons for years to come covered with this one. Plus with so many maps..I can always throw in a treasure map now and then to hook players. The only thing I’d recommend to be changed in this review is to have a direct link on the text that talks about your own adventure modules based in Undermountain so readers can check those out. Keep up the great work! You review like no one else does. You give the info in an easy to read format that gets down to the meat and bones of what a product offers.